Love these old photos! 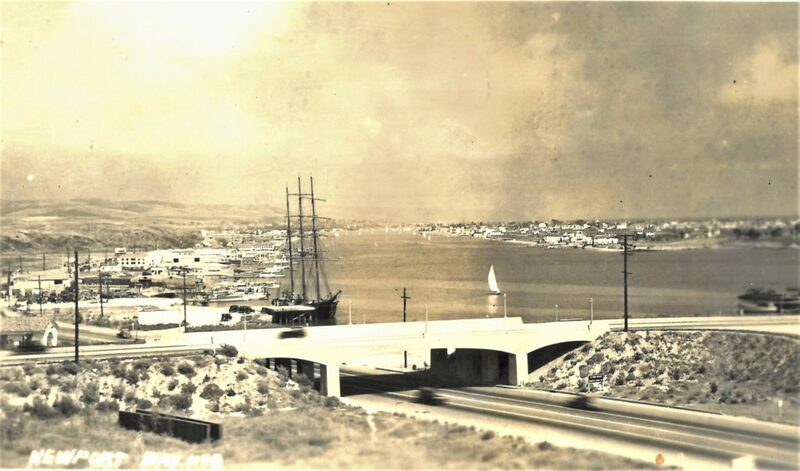 This was 5 years before I was born….but I lived about 2 blocks from the Arches Bridge in Newport Heights beginning in 1947. The street was called Old County Road for years. As the street filled in with homes and people, the street was renamed Catalina Drive…….. after much bitching and moaning by its’ residents. My Grandparents, from a tiny little town 120 miles from Kansas City, Missouri, asked my Mom and Dad in the early 50’s why they wanted to live in this, “Fishing Village”. I loved every minute growing up in Newport Beach in the 50’s and early 60’s. We had something very special!